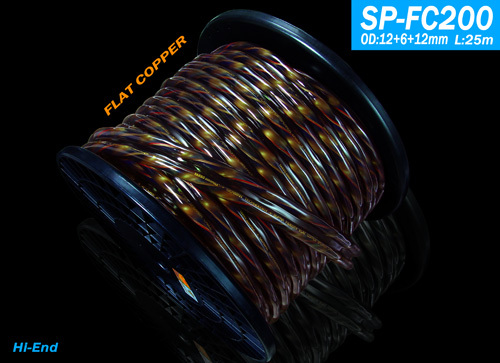 EAF fever wire new launch of a play sound and music balance of the ultimate square copper speaker cable SP-FC200. 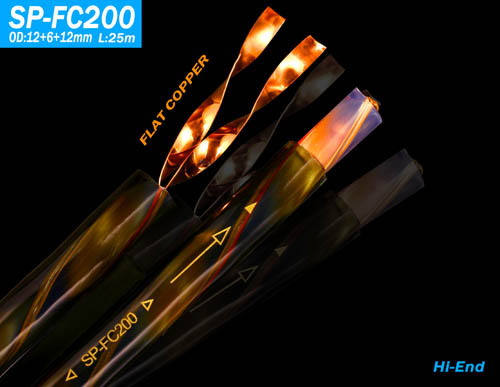 This line uses 4 large OFC square core copper stranded precision, each square core copper conductor using advanced laser grinding process, the whole body bright and smooth, close to the speed of light without loss of long-distance transmission signal, four-core independent insulation design, you can effectively solve High-frequency skin effect, enhance the details and get natural fresh high-frequency; integrated square core copper conductor can effectively improve the low frequency speed, dynamic and tightening, IF density, thickness can be improved accordingly, so that audio equipment The original overall sound quality more relaxed high-fidelity theater atmosphere! 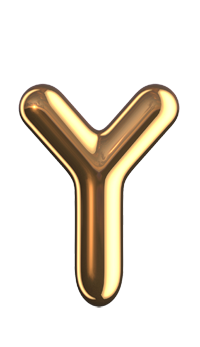 Particularly suitable for high-end large-area home theater system and the pursuit of audio and music balance the ultimate choice of audio enthusiasts, this line is recommended to use square copper conductor can be directly inserted into the terminal to reduce the negative impact of plug on the sound quality.